So you want to build a flower bed. Where do you begin? 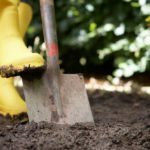 Before starting a flower bed, you need to plan ahead. Take a stroll around your property and choose a suitable location. Take note of available light and nearby structures. Determine the whereabouts of any underground utility lines and the nearest water source. Before you plant a flower bed, you should make a sketch. This is important, as it allows you to play around with ideas, like the size and shape of the flower bed. 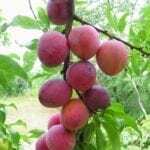 It will also make it easier when choosing plants, as these should always be compatible to the area. Use a hose, spray paint or flour to mark out and shape the bed. If building a raised bed, determine the type and amount of edging material as well. Once you know how to create a flower bed, you’re ready to build it. Depending on its location, size and whether or not containers are used, starting a flower bed often begins with the removal of grass. There are several ways to accomplish this – dig it out, apply herbicide or smother it with cardboard or newspaper. If you choose to dig out the grass, it will be easier to use a flat shovel. 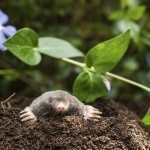 Dig down about four or five inches around the bed’s perimeter. Include sections inside the bed as well, especially for larger ones. Then carefully lift out or peel back the sod. Clear out any debris and loosen the soil, working in organic matter. Add some plants, water thoroughly and mulch generously to keep out weeds. Don’t forget to add an attractive border to define the edges. Most people prefer the no-dig approach. It starts with eliminating the grass as we did in the dig method. 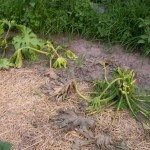 While using herbicides can effectively kill grass, it may not be suitable for planting until much later, as herbicides are not environmentally friendly. 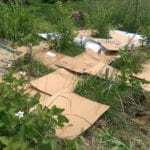 However, you can easily smother grass quickly and effectively without the use of harmful chemicals simply by using cardboard or newspaper. You can start the no-dig bed in early spring for summer planting or build a flower bed in fall, as grass begins to go dormant. Fill the area with cardboard or several layers of newspaper and saturate with water. Add about six inches of compost or rich soil on top with another layer of organic mulch (like straw) on top of this. You can plant a flower bed right away if the grass was dug out or within the next season using the no-dig method. Knowing how to start a flower bed, along with careful planning beforehand, makes building one as easy as that!